Our 3 interstate trucks are picking up through out Victoria, Canberra, Sydney, Newcastle, Coffs Harbour, Gold Coast, Brisbane, & Sunshine Coast weekly. We offer a door to door, express backloading service and we also have storage, plus packing solutions to suit any size move. 13000 MOVE U trucks ride on airbag suspension which cushions the ride for your Furniture, Goods or Sensitive Freight ensuring the lowest risk for any Fragile itemsduring transit, keeping them as safe as possible. Our removalists are extremely careful and all of our moves include Transit Insurance. Getting a quote is simple! We can provide an online quote by clicking here or call our office 13000 MOVE U and we’ll go through it with you personally. At 13000 MOVE U we understand how stressful moving can be, so let our friendly and reliable team of moving professionals take care of your items. You can have peace of mind knowing you are in the hands of professional removalists who care. 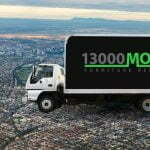 13000 MOVE U are a team of 9 dedicated individuals who have been working in the furniture removals & interstate backloading industry for many years, with a combined knowledge of over 30 years. With our experience at your disposal we will make your move as smooth and stress free as possible. 13000 MOVE U are fully insured with public liability of $20,000,000 and Transit Insurance is included in all our moves locally and interstate. Getting a moving quote is simple! Fill out an online quote form here with your inventory list. Alternatively email us or send us an excel sheet with your inventory list via email. We manually assess every quote request we received in order to provide you with the best tailored quote within approximately 2 to 3 hours. A quote will be sent to you with a price breakdown and schedule that works around your busy lifestyle so we can help move u from point A to point B stress free! We can help with any sized move from one item to a large home. You can book online here or just call us 13000 MOVE U ( 13000 66 838 ) for a free, no obligation quote NOW and let us move it for you.